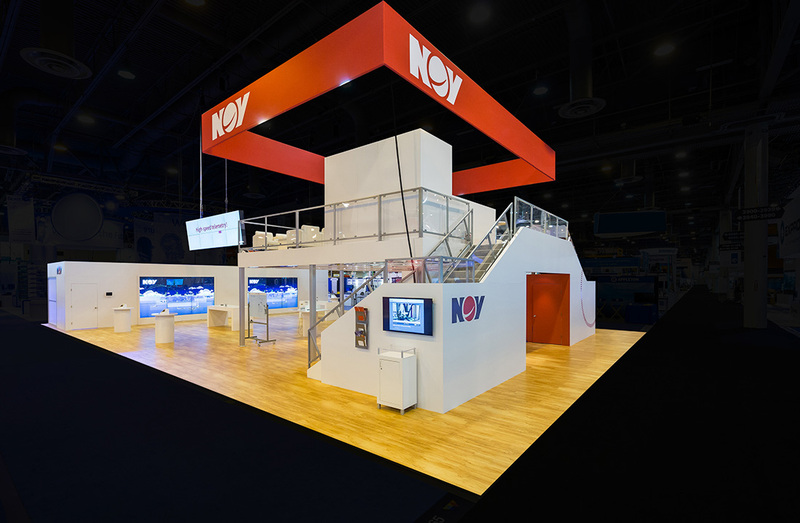 As a world leader in oil and gas services, NOV maintains a large perennial presence at the Offshore Technology Conference in their headquarters’ backyard in Houston. In the prior year, they leaned on a more technology driven message in a reduced booth size. Before that, the footprint was a 50’ x 110’ and in 2016 space was slimmed to 50’ x 80’. 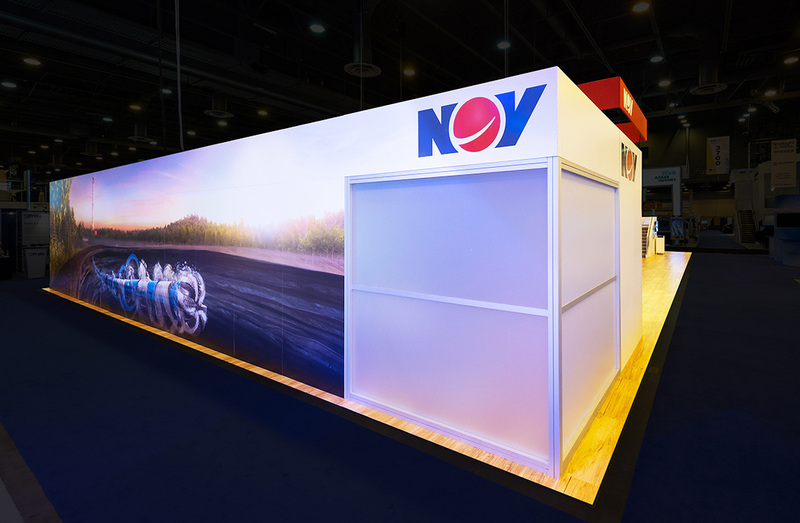 With three product groups represented in the space, NOV and the 2020 Exhibits design team worked to meet NOV’s corporate marketing’s vision as well as accommodate the needs of the product groups. 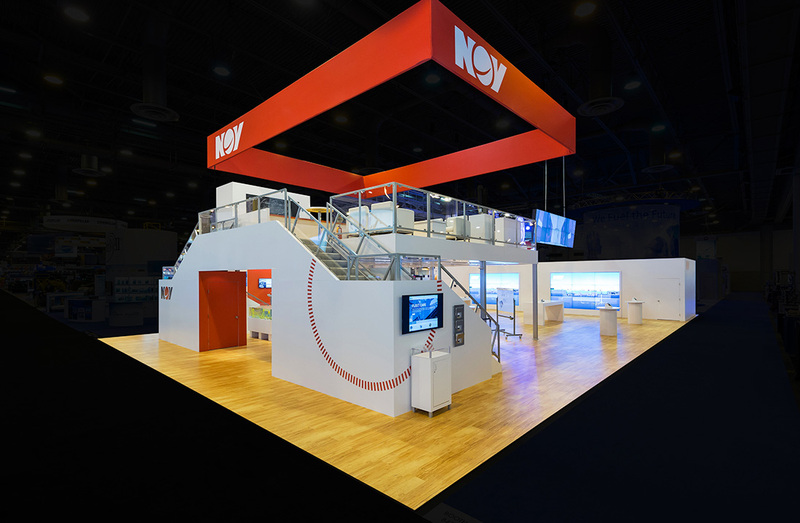 To accommodate each group thoroughly, the design team at 2020 Exhibits leaned heavily on technology and efficient use of space. 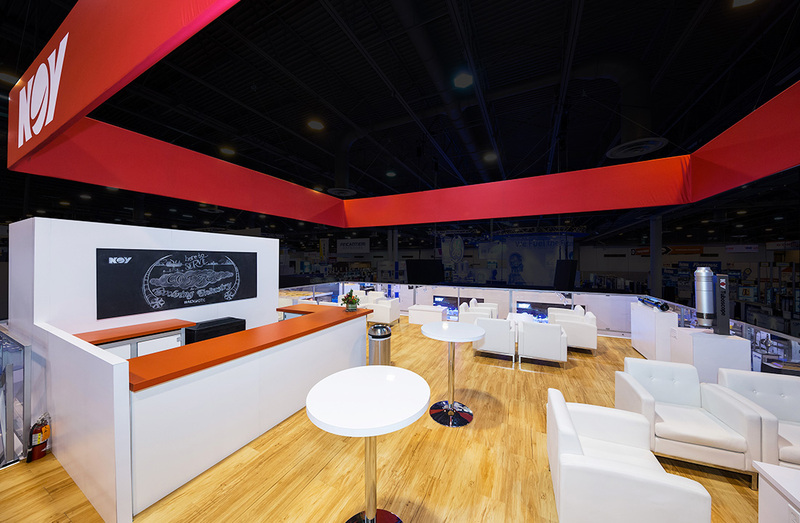 To create a substantial presence, 2020 Exhibits oriented the double deck on the front aisle to create a distinctive entry point to the booth. The double-deck accommodated a hospitality area upstairs and featured space for high-tech equipment and demonstrations below. 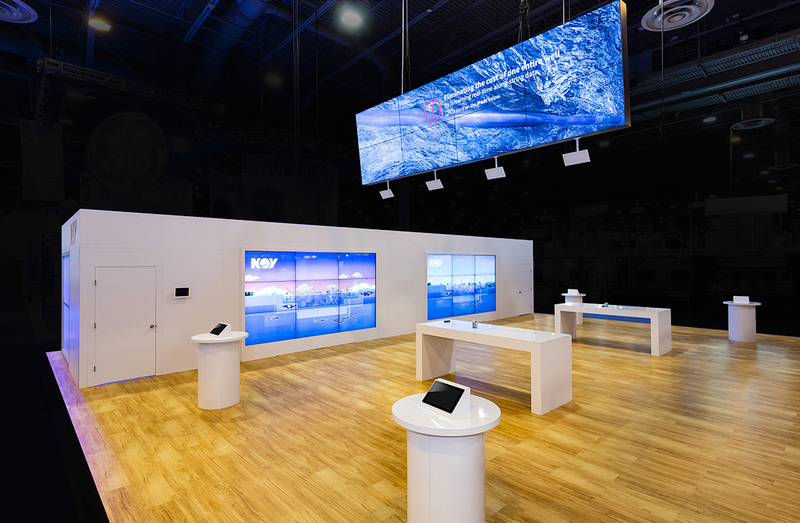 The balance of the space featured interactive video wall and support structure that housed conference space and ample storage and staffer preparation and break area. Dry erase tables are central to how booth staffers interface with the attendees. Hanging video walls featured video with unique sound delivered by directional speakers that only allowed people directly in front of the video to hear it.